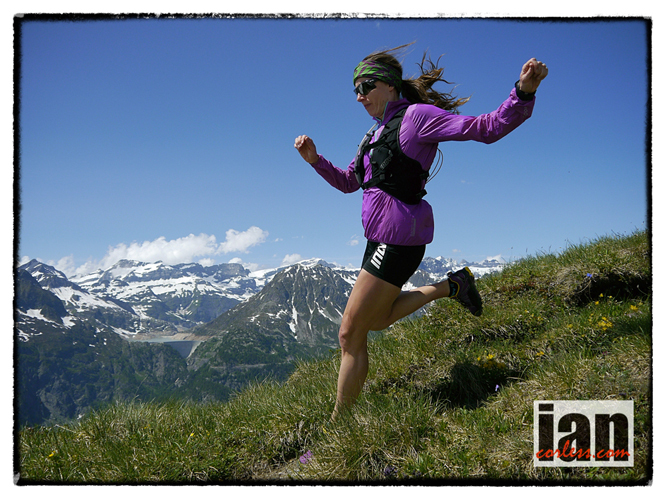 *Please note inov-8 have now updated the fit of the Race Ultra Vest for production. 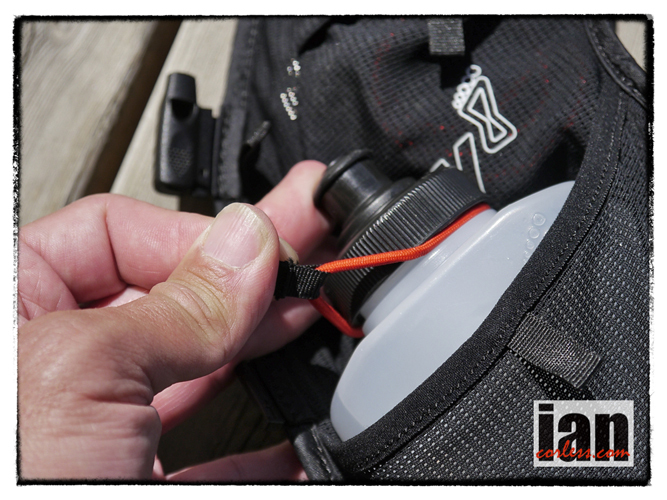 This has reduced the width of the top front pocket, resulting in it no longer being able to hold the 500ml flat water bottle. 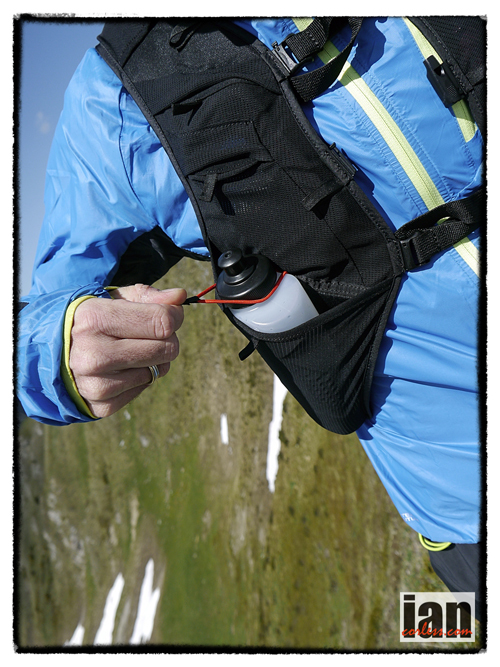 It does, however, still have capacity to hold the 250ml soft flask available with the Race Ultra 0.25. 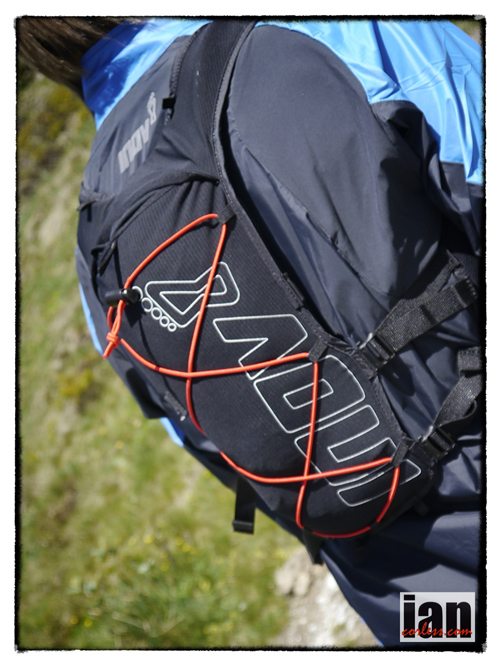 It used to be simple; get rucksack, add a few essential items, grab a bottle of energy drink and off you go! However, the rucksacks used were more often than not, developed for hiking and thus Issues arose. 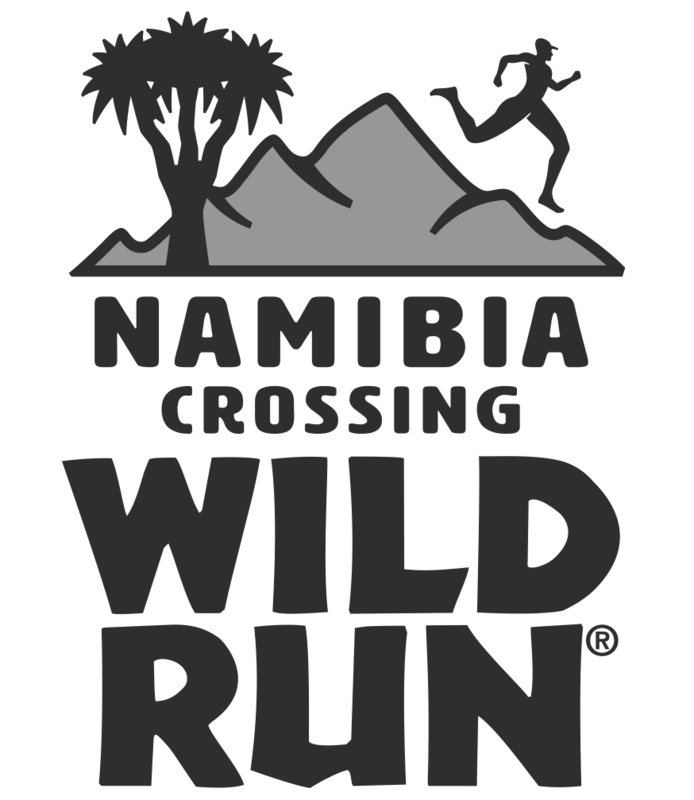 The packs had too much bounce, a lack of specific functions related to running and more importantly, the need to access items such as food and liquid whilst on the go was non existent. A boom in rucksack development followed. Brands developed new ranges of product, initially they were a reworking of already existing packs. As demand increased, new lines and new ranges came to fruition and suddenly an array of run specific items came on the market. We were spoilt for choice. If you are like me, you will have tried many of these products in the search for the ‘perfect product’. Some items have come close but ultimately I have always wanted to make a tweak here or a tweak there. Bottles, bladder or combination of both, the decision will split people. Small capacity, large capacity; ultimately you need both. 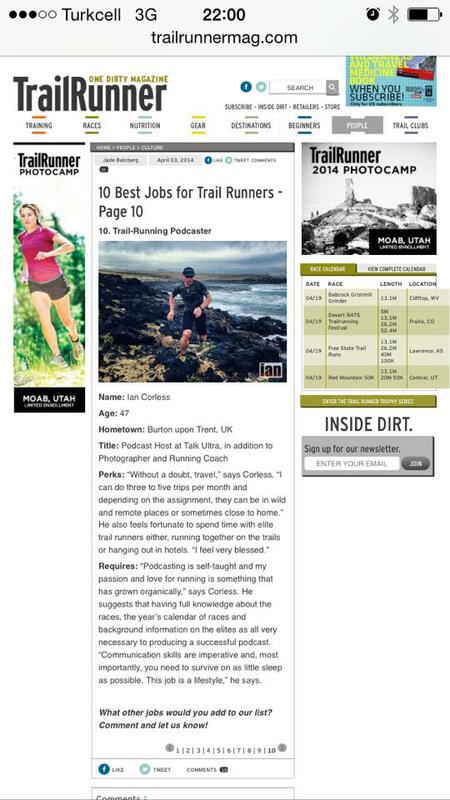 So, when looking at reviewing any new product one has to take into account many options and variables and then judge a pack on those merits and how well it fulfills those needs and demands. Rarely does a product come along that you can 100% say, ‘this is the perfect pack’. 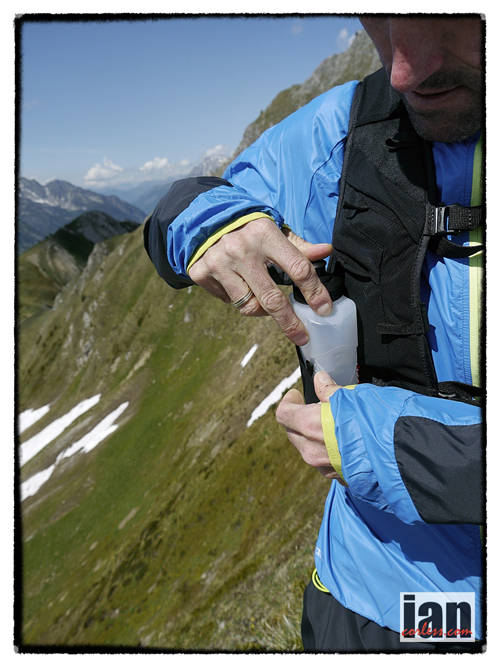 For many, the launch of the Salomon S-Lab 5ltr pack started the current revolution and design in form fitting, vest like garments that could carry essential equipment, provide immediate access to essentials whilst still being able to carry 2ltrs of liquid in a bladder or the option to also have bottles. But I can hear you say, so and so did it before Salomon and such and such did ‘x’ with ‘y’ product. I am not going to disagree; I am just highlighting a key moment in pack design that has heavily influenced the current trend for ‘vest’ like products. 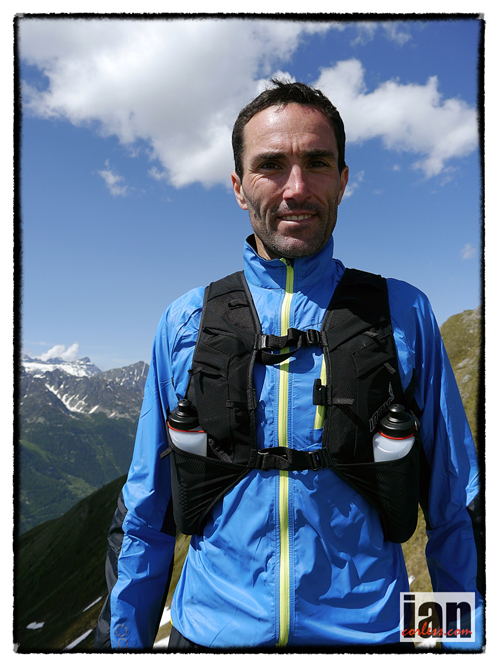 Of course, Salomon soon realized that 5ltrs was not enough capacity, particularly for long mountain races such as the TNFUTMB. 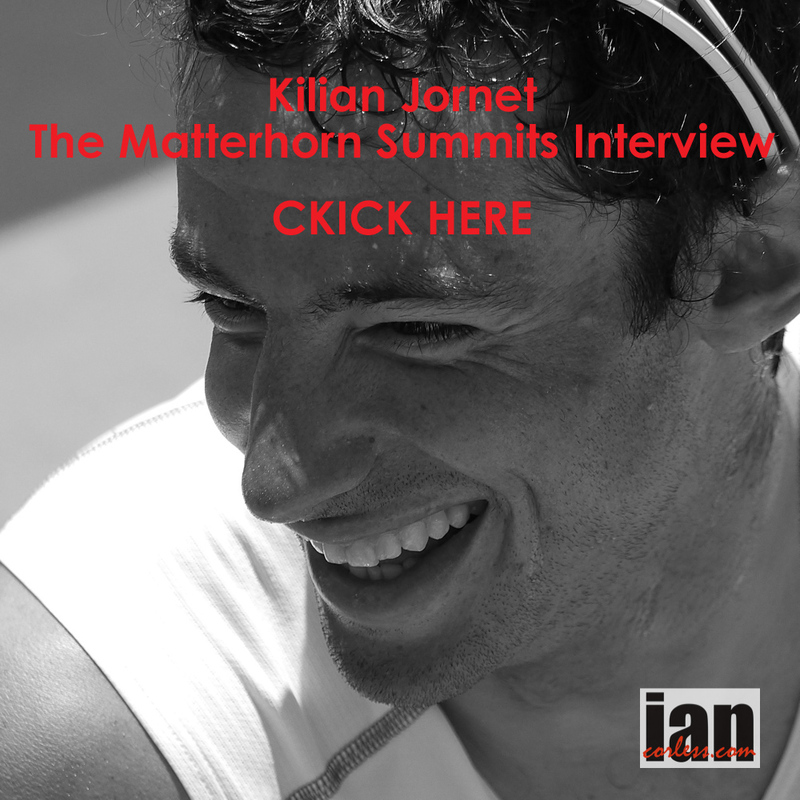 So, when Kilian Jornet lined up at UTMB several years ago, he had a new, 12ltr pack. It was a key moment in pack development and design. 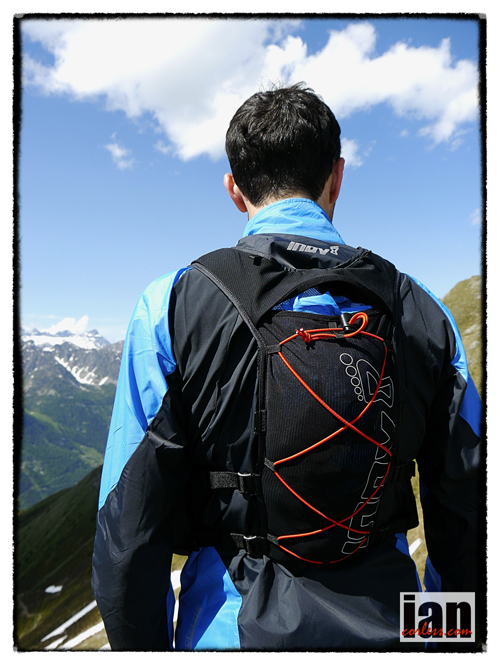 For many, the Salomon S-Lab 12 ltr has been and currently is one of the most popular packs for any racing and/or training. 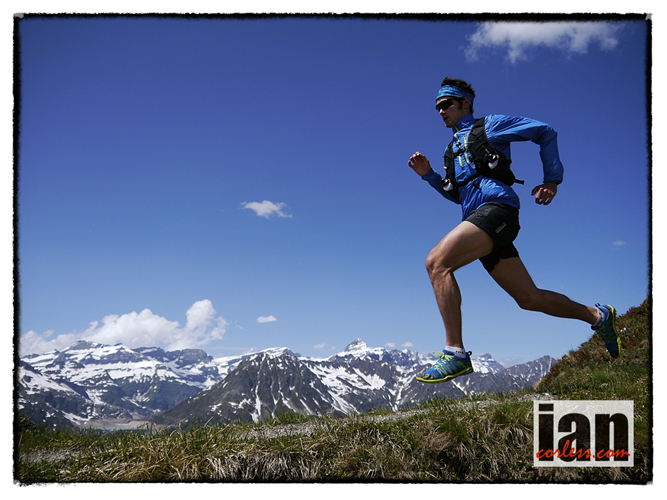 Step in inov-8 with new Race Ultra Vest. 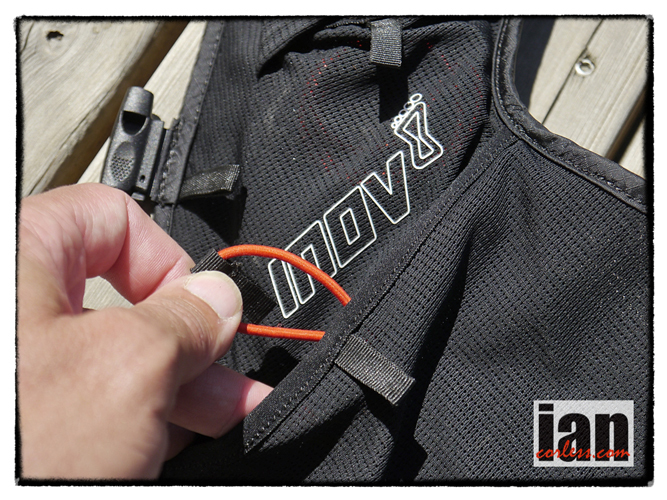 This new product from UK company; inov-8 may very well be the next key moment in pack design stripping away complication and providing a pack that would almost make a perfect accessory for Batman. 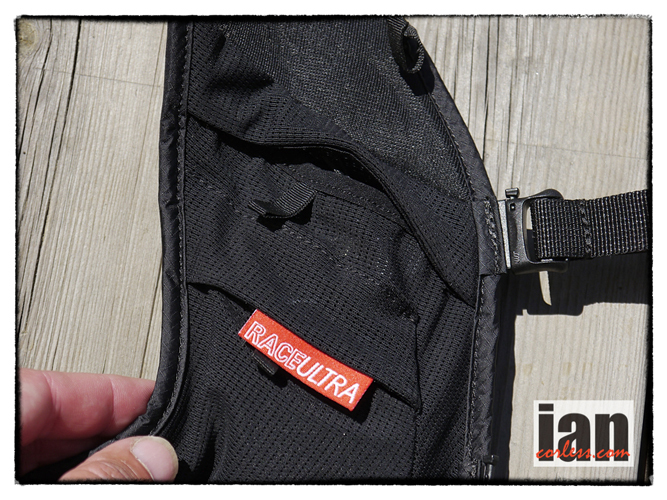 Following current trends, the Race Ultra Vest is a pack that is worn like an item of clothing. It is extremely minimal in design and offers one large ‘stretchable’ mesh pocket on the rear that is open ended with a zigzag elastic cord on the exterior to adjust compression. The front splits into a left and right side and replicates pockets/function. 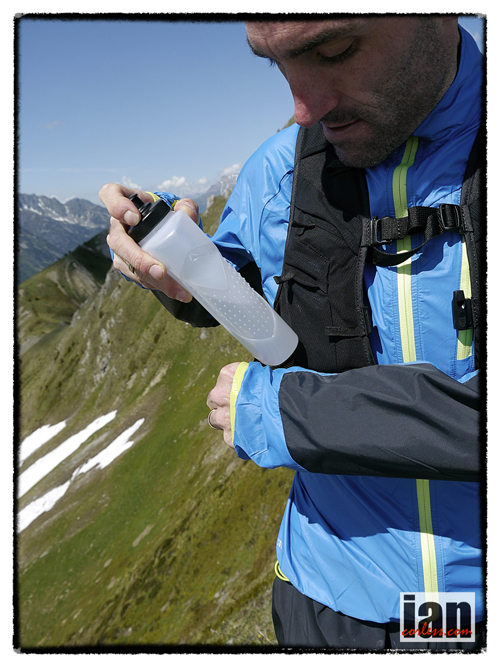 Two large angled stretchable pockets hold two newly designed inov-8 ‘flat’ bottles that sit close to and under the rib cage offering easy access and importantly, no bounce! They are held in place with elastic cords to eradicate the bottles falling out. 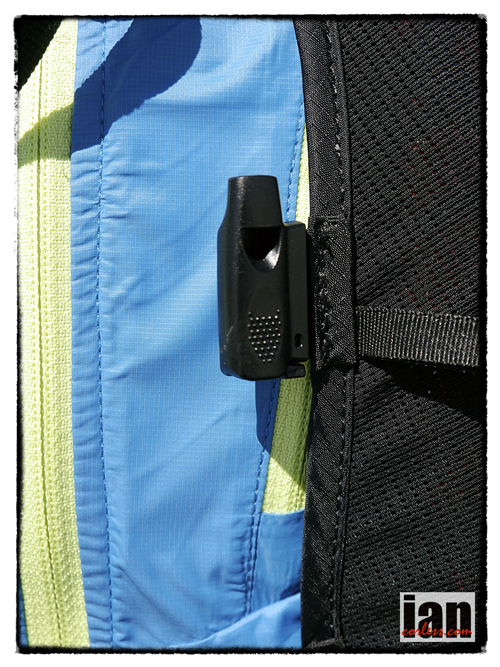 Above these angle pockets are two large chest pockets that are ideal for storing large items OR they provide the option to house the two flat bottles in a higher position, freeing the angled pockets for storage. It comes down to personal preference. In addition, two other smaller pockets sit on the chest section offering a place to hold mobile phone, camera, food, gels or other similar items and one pocket has an elastic cord to attach keys too. The product is light, open and has a unique adjustable fastening system. 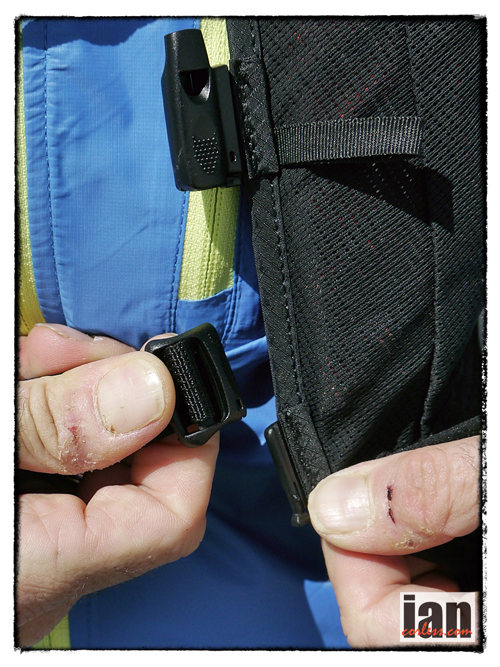 On both sides of the pack four straps attach the front to the rear and these are independently adjustable allowing for a perfect fit dependent on load. 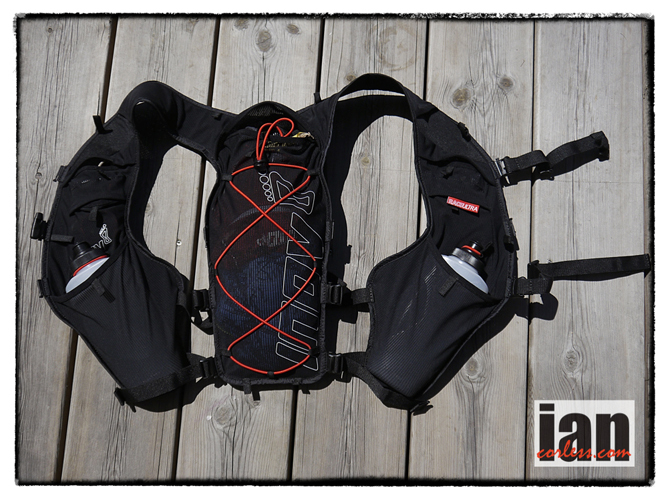 At the front, two chest straps have three ‘quick release’ fastening options (top, middle and bottom) that allow you to move straps higher or lower to ensure that you have restriction free movement. Finally, the pack does come with a 2ltr bladder that sits within a temperature control sleeve and this easily slides into the rear open pocket. The feed pipe is insulated and can be used on the left or right hand side of the vest. Ideal should you require the option to carry 3 liters of liquid; 2 liters in the rear and 1 liter at the front in two bottles. This product fits like a glove! I have yet to find anyone who has put this product and on not found it immediately comfortable. It just fits, pure and simple. The adjustably of the four side straps and two front straps does mean that it can fit pretty much any body shape. When running it does not move. No bounce whatsoever. Accessibility to bottles is superb in either of the two storage places. I personally found that I liked the bottles lower, sitting under my ribcage. Depending on your body shape and size, you may prefer the bottles in the higher position? One drawback of the lower position is that your arms may rub the bottles as you move left-to-right in the running motion… not an issue I experienced. Removing bottles whilst running was easy, just pull the red cord, remove the bottle, drink, push back in and then re attach the cord over the neck of the bottle. Upper access pockets on the chest provided immediate access to anything I needed whilst running. I had a phone, camera, bars, gels, keys and money all at hand. Perfect. The rear pocket requires some thinking when packing, as it is just an open space. You push things in and keep pushing. The pack stretches and molds to the contents allowing what looks like a small space to become spacious. Pack this well and place a lightweight jacket or raincoat at the top and you can actually reach over your shoulder and remove the top item from the pack without stopping. A real bonus for the ‘racers’ amongst you. If you have fewer items in the pack, you can remove any bounce or excess room with the adjustable elastic cord. Poles or additional items can be added to the pack via several black nylon loops that have been added to the pack in strategic places. You may need to purchase some elastic cord and be creative with how you work this but it is a great additional way to get exactly what you personally need. For example, I added my poles across my chest allowing me the option to add and remove them at will. So much better than attaching to the rear and the complications this brings. Unlike other vests, the Race Ultra does not get too hot. The main reason for this is the open design. Under the arms you have no fabric, just two straps on each side, therefore are flow is increased and importantly, internal heat can escape. In addition, the fabric and materials used are very light. This not only keeps the overall weight of the product down but it also does allow heat to pass through it. On your back you can’t help but have a hot spot. I have you to find a pack or vest that does not d o this, even those that have a framework that helps or reduce back contact. 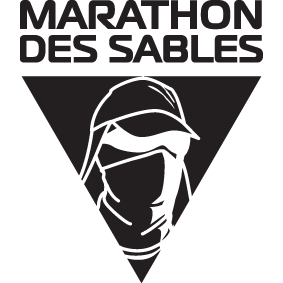 The big question is, can you fit all the required kit for a long 100-mile race such as TNFUTMB into the pack? The answer is yes, but you need to be creative and pack light/ small. 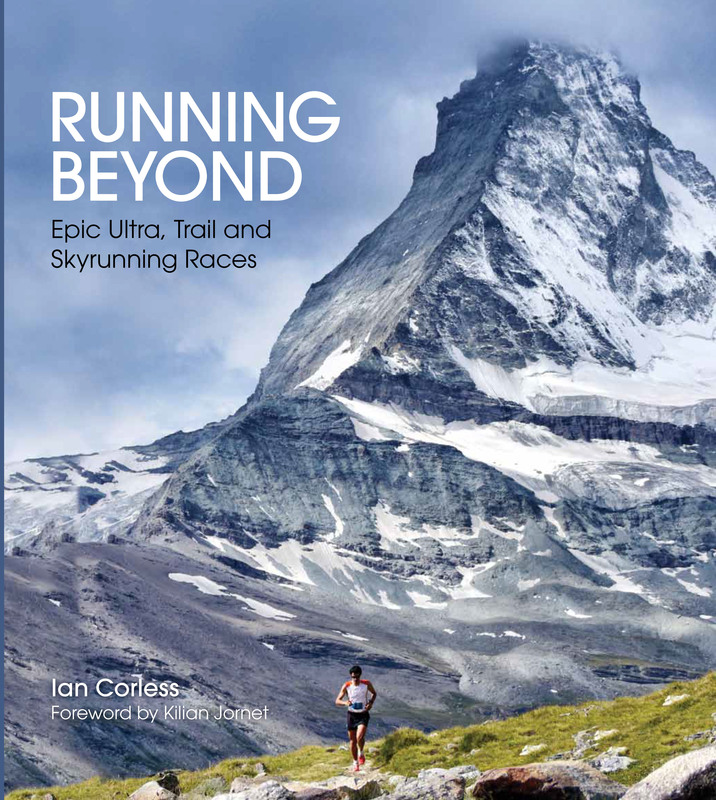 Inov-8 have developed a whole new range of apparel that works in conjunction with this pack (reviews to follow) such as seamed waterproof jacket with hood, seamed waterproof over trousers, warm insulated layer, base layer, hat, gloves and so on. 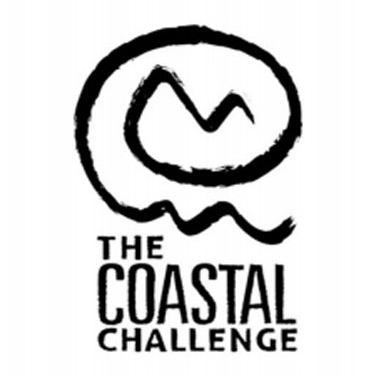 It would be fair to say though that for most people, with normal conventional run clothing and wet weather gear such as specified in the mandatory kit list at most long races, particularly for TNFUTMB, it would be a squeeze to get it all in. This is the only negative comment I have found in regard to this pack. But to clarify, with small, lightweight and ultimately expensive products, you can do it. It depends what is important for you and your specific needs, Remember the is called a ‘race’ product and as such, one would naturally assume that the user, male or female, will be looking to be as small and as light as possible. 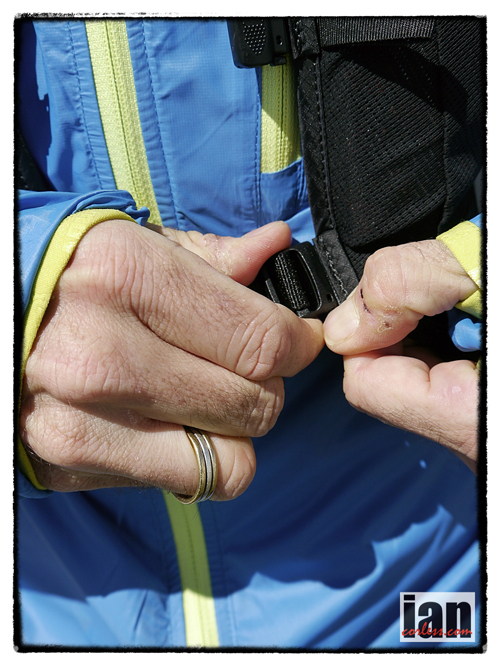 Finally, taking up space on one of the quick release options on the front of the pack is a removable whistle. I can’t tell you how many packs I have purchased over the years in the search for the ‘perfect’ pack. Just when I think I have found one, I find a reason not to be 100% convinced. 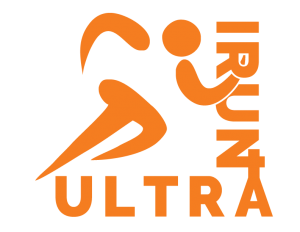 I’d have to say that finally, in the inov-8 Race Ultra Vest I have found a product that ticks every box and makes me feel 100% confident in my choice and decision. 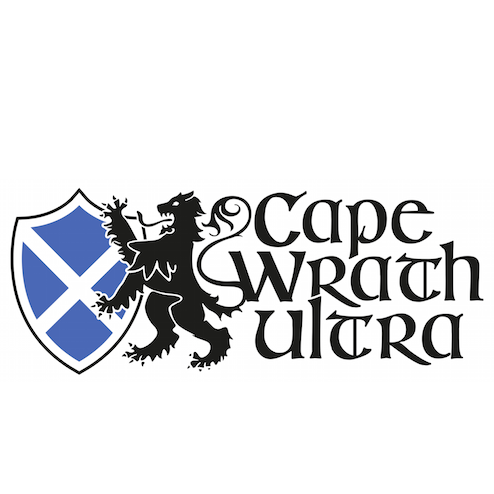 If I had one issue, it would be for longer races when high demands on mandatory kit are required. Unless you have the latest up to date smallest and lightest products, you will struggle to fit everything in this pack. However, I can’t help but think inov-8 is already thinking about a solution for that! Weight (pack stripped) 195g. In stores Feb.
Price £80. 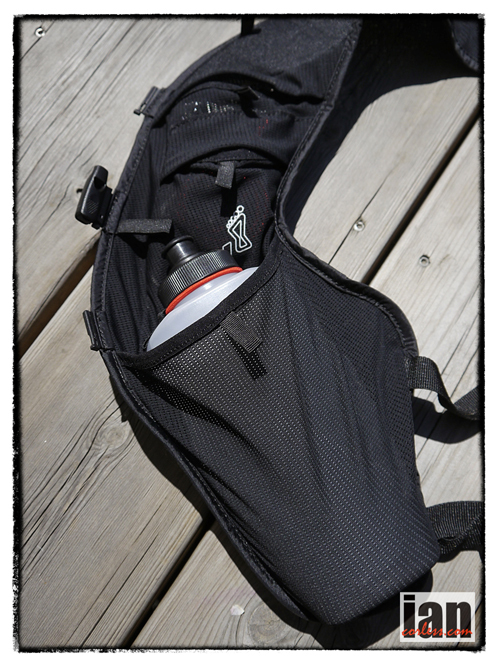 This includes two bottles, insulation sleeve and reservoir with insulated tube. 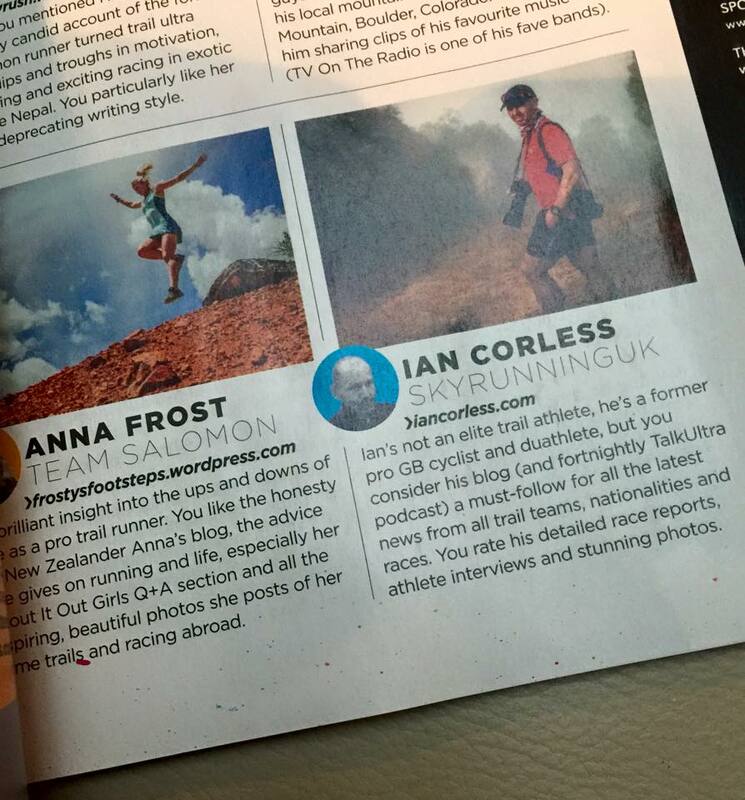 Many thanks to inov-8 for the opportunity to test and review. In addition, I would like to thank all the inov-8 athletes who made themselves available to facilitate the photo shoot. 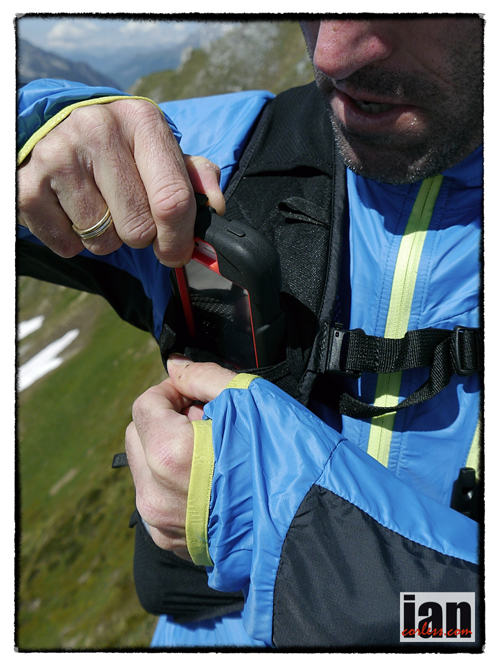 In this particular case, Brendan Davies was extremely patient while obtaining images of the Race Ultra. One question: Is the vest washable and, if so how have you found it after a couple of times through the wash? Yes Paul, no problem washing it. As a tip, I always place my rucksacks in a pillow case and tie the top. That way you don’t have to worry about straps and the possibility of the pack getting damaged.